Deto xification is growing more and more popular, especially as more celebrities and famous individuals are doing it and claiming to get great results from doing so. The basic premise behind the idea of a body detox regiment is that your body accumulates toxins and chemicals and harmful materials at a faster rate in this modern world than what the body’s natural detoxification system -made up of the liver, kidneys and lungs-can easily push out of the body. These toxins take on many forms and cane get into the body when we are exposed to harmful elements such as carbon monoxide, pesticides, bleach, fumes, pollution, and other common very day sources and these elements build up over time and create high levels of toxicity in the body and cause disease. This is why many people are trying detoxing for better health, but there are still some concerns about detoxing that must be also looked into in order to determine if this is the right approach for you. 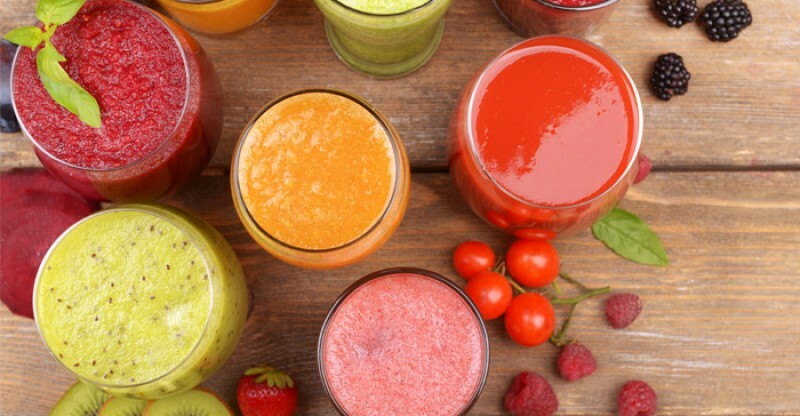 The premise behind detoxing for better health lies in the idea that now and then the body needs help to get rid of these toxins that are building up day in and day out. While the body is busy doing normal activities like digesting food, converting proteins and sugar into energy, and doing all the normal processes it does automatically, it is not able to adequately eliminate these toxins. A detoxing schedule allows the body to re-set in a sense and gives it a break from all the other activities so it can focus on breaking down and eliminating these harmful elements. Years ago it was believed a fast was the best way to do a detox because the body would be able to focus on nothing but the toxins; however we now know this is harmful for the body and the systems still need energy and fuel and there are certain elemetns and minerals and nutrients needed to make a detox effective. Anyone who is looking at detoxing for better health as the way they want to go needs to do due diligence and make sure they are doing it correctly and safely. Many of the concerns about detoxing come from people jumping in without knowing what they are doing and going about it the wrong way! Why is Your Diet so Important? Eat natural foods that have not been processed and that contain no preservatives or added hormones, colors, flavors, or other elements. Eat foods form your area, buy local, eat local, and shop local. Eat unpasteurized dairy products and fermented foods. At least one third to half of your daily food consumption needs to be raw and fresh so you can get nutrients without them being cooked out and lost. Make sure healthy fats like omega-3 fat is high and saturated fats and omega-6 from unhealthy sources are limited. Calcium deficiencies will be substituted with lead, which deposits primarily in bone. This reduced the bone strength, harm red blood cell production, and can lead to lead poisoning. Zinc has cadmium as a replacement element, and it tends to accumulate in large levels within the kidneys. Cadmium may be a key element to what leads to the development of peripheral neuropathy. Magnesium is replaced by aluminum, a potentially devastating toxin as it is one of the heavy metals that are contributing to increases cases of Alzheimer’s, Parkinson’s and dementia. Manganese is replaced by nickel, which is carcinogenic and kills cells and reduces the ability cells to heal and regenerate themselves. It is easy to see why it is essential that you are getting the nutrients you need in your diet so you can avoid this toxic metal replacement process and reduce the accumulation of toxins within the body right from the start. This will reduce the amount of work that needs to be done by the detox regiment and since you also need nutrients to aid the natural detoxing process there is only good things to be gained from eating smart each and every day. Toxins are naturally eliminated from your body through your liver and during defecation and is the key way detox schedules will push these toxins out of your body. Thousands of people choose detoxing for better health as a way to get back on tract and to turn their lives around. And for anyone who has concerns about detoxing, rest easy- so long as you are smart about it and use common sense you will reap the benefits! One of the most important things to remember about detoxing is you should never do it when you are sick or after you have been sick. It is also important that you are already starting to eat healthy and liv a good lifestyle that supports a detox regiment. If you fail to do this the body can become overwhelmed from the sudden influx of detoxing it is being forced to do. Also, if your body is already weakened from illness or a poor lifestyle you will not be able to adequately detox the harmful elements from your body. Embrace good lifestyle choices, uses common sense, and work up to a detox scheduled slowly and you will reap the benefits and enjoy a more balanced body and a healthier system over all!